Crafting Recipes - Note, they have changed, view changelog. 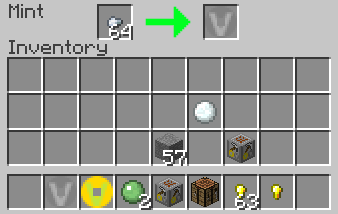 The two coins serve no special purpose but to enhance the Vanilla trading experience in Minecraft, more specifically in multiplayer. It provides more options to use as currency. I ask that you report any issues on Curse since their systems seems to make it easier to view issues (rather than the classic reply in a forum). 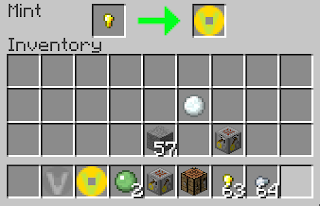 This is my first mod and I'm testing the waters for Minecraft mod creation with something simple. Trying to learn the basics down and hopefully maybe add more advanced features to this mod in the future. If you're interested I started a blog throughout the headaches of making this mod and other projects.